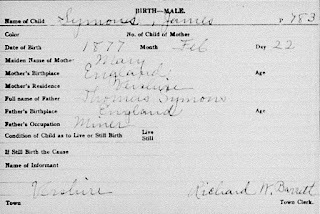 The name, James and birth date is clearly noted on the family paper. 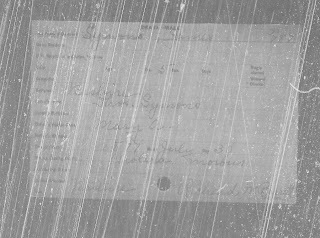 Writing again to the Vermont clerk, I requested her help in searching for James in the death records. At this point I was beholden to so many: the kindness of the Cornish Parish clerks, those in the Cornwall Family History Society, the clerks at the Marquette County Courthouse, and now another person made it her quest to solve the mystery of James, with no death date to guide her. The only clue was his absence in the United States census of 1880. 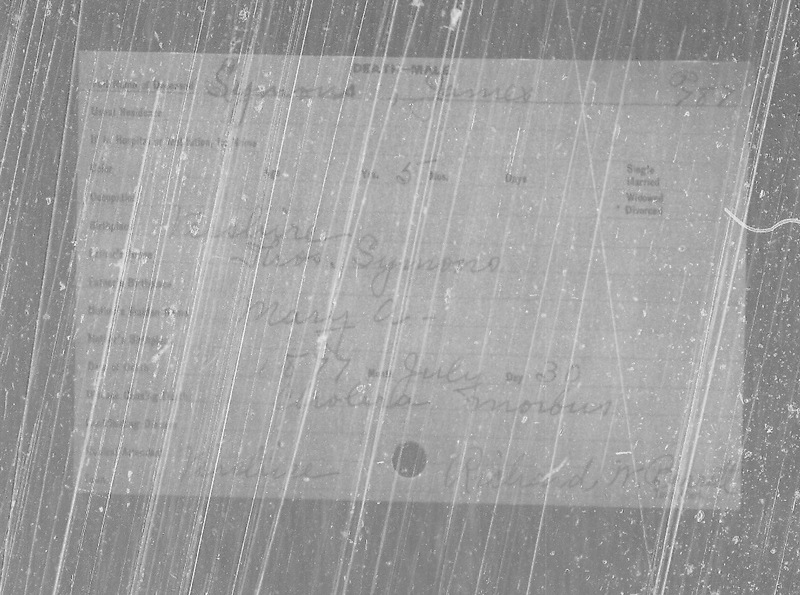 Had I paid more attention to the census records, I would have noted his absence earlier. 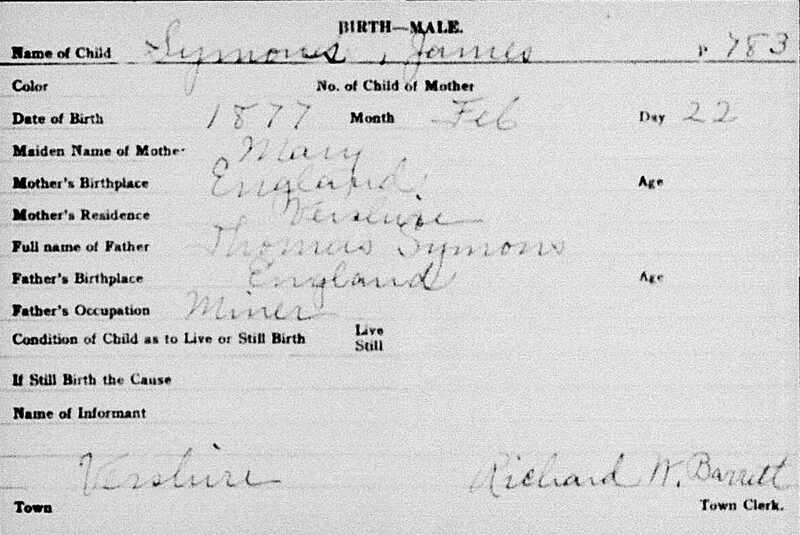 The birth and death certificates of James Symons.